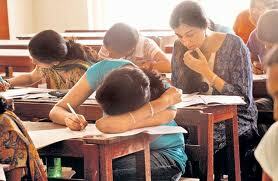 Don't start exam with quantitative aptitude, Which section i have to start in IBPS Exam? Don’t start exam with quantitative aptitude. While starting the sections like quantitative aptitude and reasoning,takes you much time,for this you don’t start with these 2 topics,because of these sections will take much time and many problems create confusion to you,so just avoid aptitude and reasoning sections. Don’t start exam with quantitative aptitude. I think its cleared about time management in ibps exam and as well as sections you have to start first.